Alan Dyer joined the Children’s Chorus of Greater Dallas as accompanist in 2001. He has been a choral director, performer, and music educator in the Dallas-Fort Worth area for more than twenty years. Mr. Dyer is the Founder and Artistic Director of The Texas Voices, a professional chamber chorus in Plano and the Assistant to the Director of Music at First Unitarian Church in Dallas. 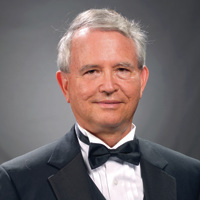 Mr. Dyer has performed with area groups such as the Dallas Wind Symphony, Richardson Symphony Chorus, Orpheus Chamber Singers, and the Dallas Civic Chorus. He tours with professional mezzo-soprano Debra Scroggins Sowerwine, performing in Kansas City, Dallas, Plano, and New York City. Mr. Dyer earned the Bachelor of Arts in Piano Performance from Dallas Baptist University and the Master of Music in Piano Pedagogy from Southern Methodist University. He has completed doctoral courses at the University of North Texas. He is active in the American Choral Directors Association and the Texas Choral Directors Association.